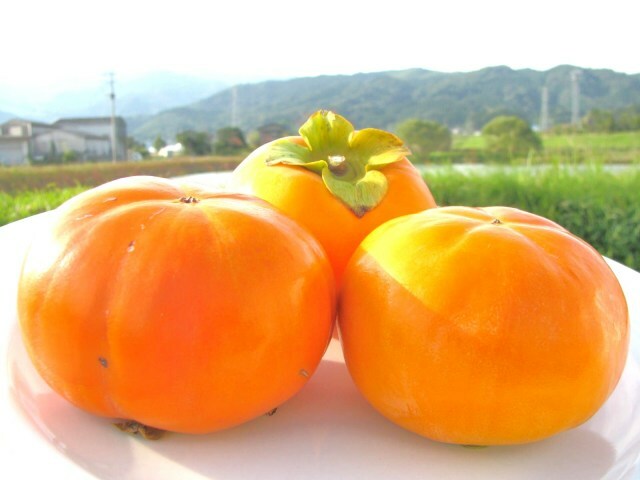 Gyotoku plans skill up every year with a theme of the way how he should grow persimmons with relief and safe and how he can harvest efficiently. 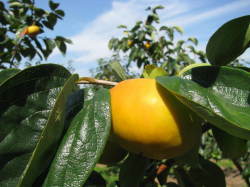 And he uses organic manures which he thinks through originally and he acts up to his originalities with his decreased pesticide agricultural methods. 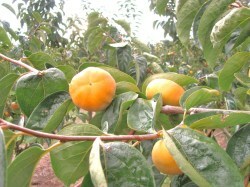 There are male's tree, female's tree and male and female's tree among persimmon. 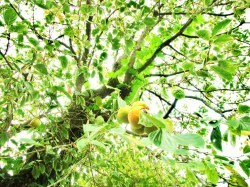 In order to harvest a lot of persimmons from female's tree, he devises the allocations of these 3 kind of trees, and He practices an inventive idea with the original feelings and faith at the thought about pruning branchs and intervals of the trunk because it's better that I should not make the persimmon's height so as to harvest good persimmons and to make harvesting more efficient. 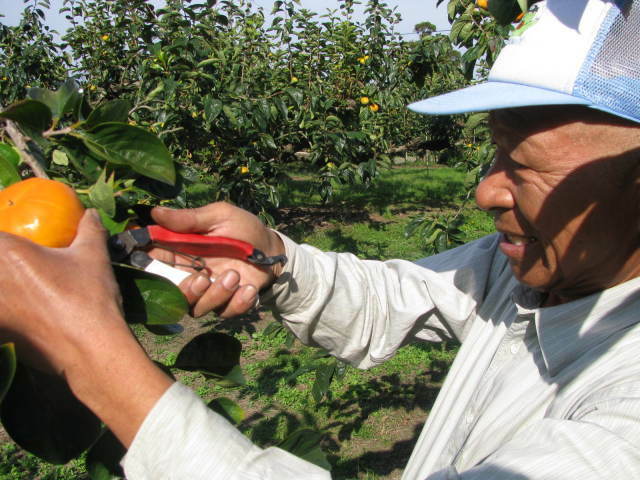 Producer Mr.Tetsuo Gyotoku is a notorious leader among scholars of local agriculture. He aimed at the engineer and went to Brazilian capital Brasilia to study during junior high school student time in 1958. Regarding rice production, in conparison to Japan which produces rice 13,500,000t (1.35t/capita) by 10,000,000 people, he was astonished into American productivity to produce 5,000,000t (100t/capita) by 50,000 people. He realized "the times was a flower and meat and of the fruit from now on". 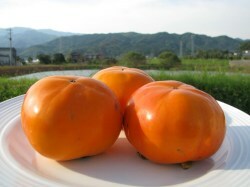 With the resentment for the contradiction of Japanese rice growing administration, he quitted the making of rice in 1967 (25 years old) with no regrets and began the making of grape and percimmon. 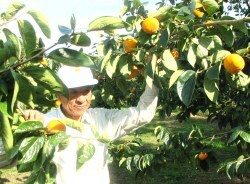 Thereafter Mr.Gyotoku who continued to make aid for the making of fruit and local development. He says that "knowledge armament" through the newspaper reading of one hour and a half every day is a source of himself and the local development. 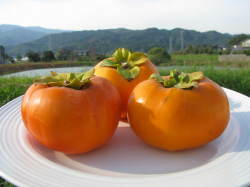 It's Mr.Gyotoku's persimmons which have a lot of originalities and believes. Please try.